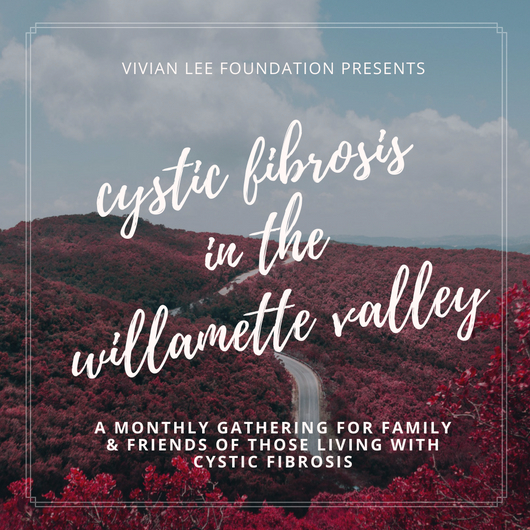 The Vivian Lee Foundation is proud to offer a select number of local programs for families living with cystic fibrosis. We strive to be as transparent as possible with our funding. 50% of our fundraising profits are donated directly to CF research. We mainly donate to two organizations, which are the leaders in research for cystic fibrosis: the Cystic Fibrosis Foundation and the Cystic Fibrosis Research Inc. The remaining 50% of our funding goes to our local programs designed to help those with CF. While we are fighting for a cure, we understand that this disease affects everyday life as well as the mental and emotional well being of patients and caregivers alike. Our programs are designed by CF parents, who understand how hard it is to navigate through the journey of living with cystic fibrosis. We understand that cystic fibrosis means a LOT of time at the doctor. With clinic visits 4 times a year, sometimes more, it can take quite the toll on your family. And we understand that it is crucial that you as a parent be alert and focused so that you can communicate with your child’s medical team. As a mother of three children, VLF President Christy Rimrodt quickly learned that taking all three children to clinic visits for 2-4 hours at a time was highly stressful and unproductive. It was also hard for both parents to make it to clinic visits, which made for even harder communication at home between both caregivers. VLF’s Family Assistance Program was designed to help families find care for their other children, allowing for parents to attend clinic visits with their CF child. It also allows for both parents to attend doctor visits. Based in Oregon wine country, the Willamette Valley support group meets once a month in Newberg, Oregon. This group is open to any and all friends, family and caregivers of those with cystic fibrosis. It is a safe place to talk, vent, cry, laugh and just connect with others walking through the CF journey. In order to prevent spreading of bacteria, we ask that only one person with cystic fibrosis attend per meeting. If you have CF and would like to attend our next meeting, please contact Christy at christy@vivianleefoundation.org for details.